Buy here for US readers and here for UK readers. I really do have an unhealthy addiction with palettes, eye-shadow palettes being one of my absolute favourites. However, I'm quite picky when it comes to eye-shadows and I consider myself somewhat an eye-shadow connoisseur. 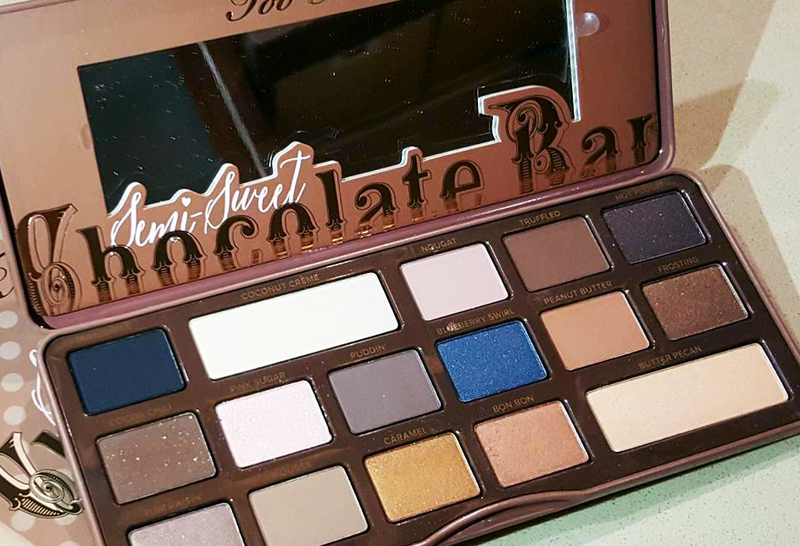 I love warm brown and neutral shades so when I saw Too Faced bring out the original Chocolate Bar palette I went absolutely gaga for it, buying it almost immediately. 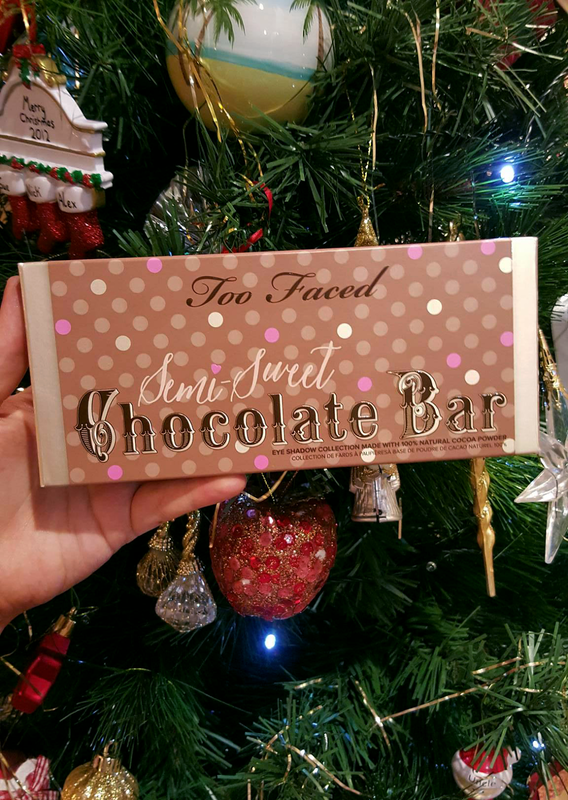 Unfortunately I was a bit disappointed with the bulky packaging and ended up just not reaching for it that much, so when Too Faced bought out the next edition I wasn't that excited. However, I got this beauty for Christmas and I am obsessed. Like the first chocolate bar palette, this one also smells of the most heavenly chocolate and every time I open the lid I get slightly hungry. So as already mentioned, this palette consists of mainly neutrals which would make natural-fans rejoice. There is a wide mix of sparkly shadows and matte shadows which is really useful in a palette so that you can create multiple looks. The shadows are highly pigmented and creamy - they blend out just beautifully. Another plus of the palette is the two larger pans of highlight shades. I don't know about you, but I always get through my highlight shades a lot quicker than the rest so this is really useful. My only complaint would be I wish they had put Peanut Butter in a larger pan because it is the perfect crease colour for me and I know I'm going to get through it so quickly, but I know Too Faced didn't make this palette solely for me so I can't complain too much! Too Faced are also cruelty free and as I am an ethical vegetarian this is always something I look for in a company. For £39 you recieve 16 gorgeous shadows which you could use to create almost any look, the blue in the palette is also one of the most beautiful shadows I have ever seen and can instantly dress up this palette and allow you to create a night appropriate look. This palette would be perfect for everyone - from people who love minimal make up and to people who love a lot (like me!) so if you don't own it already I highly recommend you nip out now and buy one. 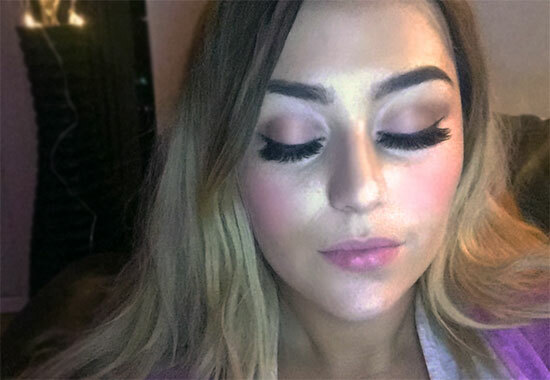 Excuse the low quality photo but I just quickly wanted to share a really simple eye look using the palette. I had worn this look all day and the staying power is phenomenal. To create this I just put on a quick wash of Nougat all over the lid, Peanut Butter through the crease, Truffled in the outter V and I highlighted with Butter Peacan. This is really a lovely look you created. 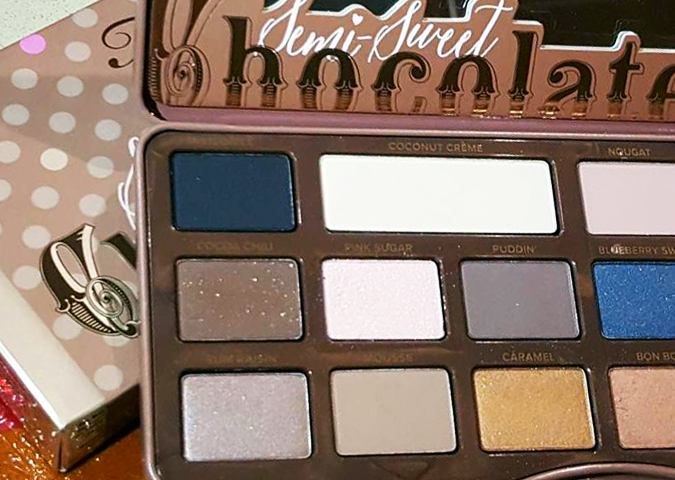 I am not a big fan of palettes in general, I prefer to depot my single shadows and customize my own, but the smell of chocolate sure sounds tempting. Thank you! I used to be obsessed with the mac palettes that you could create yourself but then I realised what a rip off they were haha, I rarely depot singles but I think that's just because I'm too lazy! 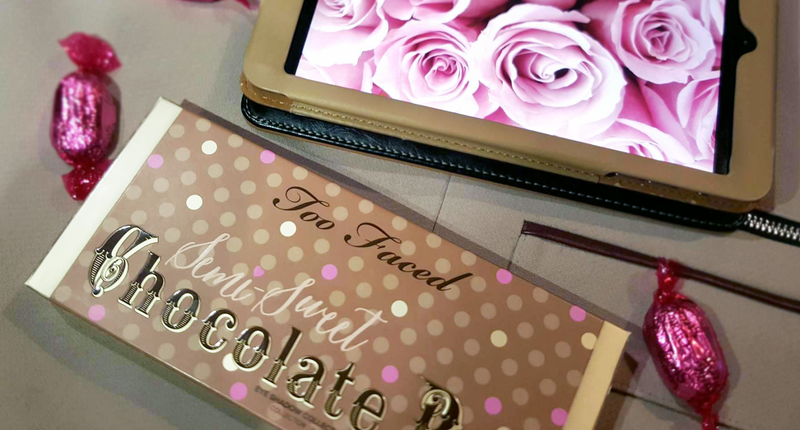 I love Too Faced as a brand and your make-up looks awesome! The fact that they're cruelty free and a lot of their products are vegan is such a selling point - plus their packaging is just adorable! Thank you! Hi Aly, I've yet to pick up the semi-sweet chocolate bar but I so want it. Besides the pallet where did you get those lashes? Gorgeous! It is so worth the money, I didn't think I would love it as much as I do. They're the eylure 202 double lashes, one of their longest and dramatic lashes that they sell but I've now got into the habit of using them every day haha, oops! I want this so bad! It looks so lovely! I love the look that you did as well! It's beautiful! Well worth the money! Thanks! i've heard really good things about this, love what you did with it! I have read such wonderful things about this palette! I love how it smells of chocolate, but I'd probably be tempted to try and eat it... :P <3 All the shades look absolutely gorgeous, and I adore the look you created! It does smell good enough to eat :) the shades are gorgeous, I thought I'd hate the blue but it's actually really wearable and nice. They are really warm browns which I love. Thanks! I have the original Chocolate Bar palette and the new Chocolate Bon Bon palette and I love them both so much so I'm sure this amazing too! I've just seen your review of the bonbon palette and it's definitely made me want it. Wasn't sure about the pans being heart shaped at first, I thought it looked a bit childish but I've definitely came to love it! I so need to get me one of these! This palette has been tempting me for a while!!! It's so worth it! It's now one of my favourites.